A parent representative is usually a parent or carer of a child with additional needs or a disability who helps represent the views of parents to the authorities that commission SEND services for families. 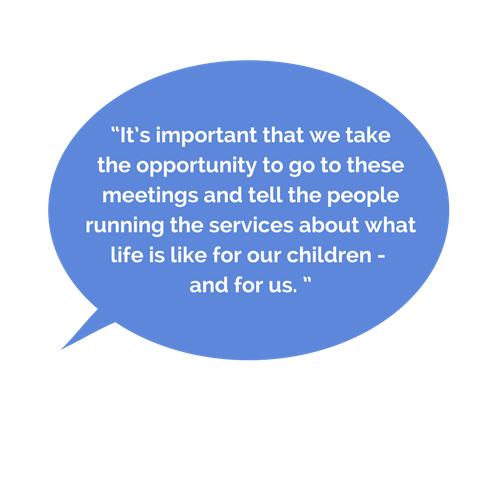 Your experience as a parent carer is really valued and you’ll be helping improve services and support for other families, just like yours, across Cambridgeshire. You’ll be trained and supported by Pinpoint to take on the role, which is voluntary. And all out-of-pocket expenses will be paid. We’re always looking for more parents to become parent representatives. If you are interested please email Carole Darlow or call her on 01480 877333 for an informal chat. If you are a commissioner or professional and you would like to add opportunities to this page, or invite a parent representative to to sit on your group, please contact us.